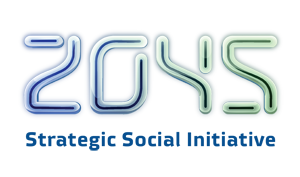 Like Carboncopies.org, the 2045 Initiative is organized around a roadmap, projects, research labs and progress. The Global Future 2045 Congress (GF2045) in New York is bringing great minds together to focus on the 2045 Initiative. This focus distinguishes it in important ways from a general transhumanist conference in which a collection of topics are presented. You want to know how you are going to get that robot body? Those neural implants? That brain-machine interface? Those neural prostheses? And how to upload your mind into an emulated brain? Well, those are the objectives that GF2045 will demonstrate and discuss: The technological approaches for complete access to and adaptation of BODY and BRAIN. researchers and developers who together represent the cutting edge of each of the crucial pillars of a roadmap. You’ll notice it is an unusual conference in terms of the experts present, speakers you would otherwise find only at a scientific neuroscience conference. Not coincidentally, they are the ones who are referenced most often in my previous talks, such as my talk about Reverse Engineering the brain at TEDxTallinn and about Substrate-Independent Minds in Melbourne, and they are the ones who headed to the White House with the proposals that led to the BRAIN Initiative. A Singularity does not make itself happen, let’s get some work done!